Walter Zick and his achitectural partner Harris Sharp designed many schools for the Clark County School District. We’re attempting to get a school named for Walter. One of the most unique and cost effective designs was born of the space age. The Pod Middle Schools were meant to look like alien space craft. To this day, they stand in tribute to new ways of thinking. 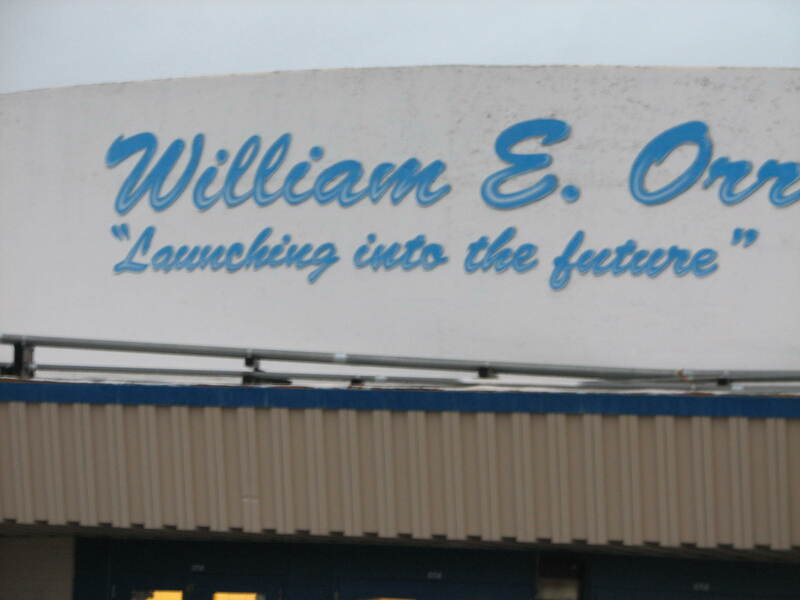 If you want to see one for yourself, the most central of them is the William Orr Middle School on Katie Avenue right behind the Boulevard Mall. WEOMS is right in the middle of the wonderful Mid Century Modern neighborhood of Paradise Palms. 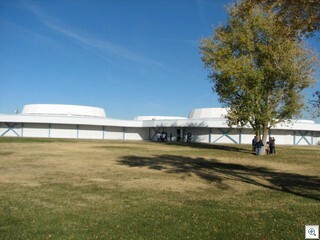 I was able to get much better ground shots at Helen Cannon Middle School on Russell Road and Eastern. 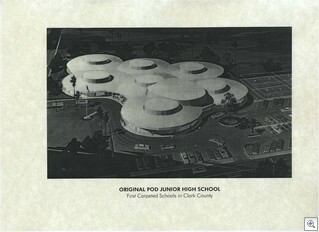 Zick and Sharp designed dozens of schools for the CCSD. They deserve recognition for their unique inspired designs, not to mention the shear number of projects that they were responsible for. Below are Slides 52 to 56 of the Application that made and turned down in 2007. Almost all of these were built in the 50’s and 60’s, qualify as Mid Mod, and and still stand as a testiment to Zick and Sharp.